Restorative dentistry is used to reestablish health and beauty in the smile after it has sustained some form of damage. Whether there is decay, gum disease, or broken/missing teeth, restorative dentistry can help your smile look as good as new. At Virtue Dental care near Greensboro, NC, we provide biocompatible restorative dentistry that uses safe materials to ensure dental treatments do not compromise physical or oral health. In the following article, we’ll take a look at some of the common biocompatible restorative treatments that we provide in our Greensboro office. We practice metal-free and mercury free dentistry, we rely on porcelain and composite resin when it comes to restorations such as fillings, inlays, onlays, and crowns. Our goal is to always protect our patients’ health every time we place a filling or repair a broken tooth. Traditional amalgam fillings contain a significant amount of mercury. Composite resin fillings are a mercury free alternative. 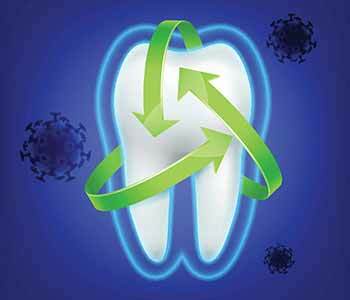 There are many advantages to composite resin fillings in addition to being mercury-free. 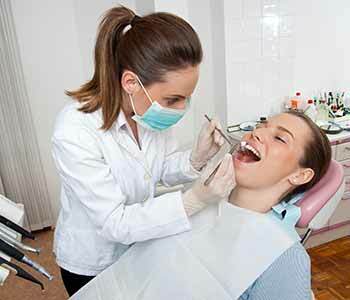 Most notably, these fillings are tooth-colored which allows them to blend in with the teeth. Composite resin fillings are also more conservative than amalgam fillings because they do not require as much removal of the natural tooth structure. As we said before, porcelain is a great metal-free alternative that we often use in restorative dentistry. Porcelain is a biocompatible material that closely resembles natural tooth enamel while also being extremely durable and stain resistant. The use of CAD/CAM technology allows us to take precise digital impressions of the teeth, which are then sent to the milling machine that then turns a pre-chosen block or porcelain into your final crown. The precise computer technology ensures the final product will have a great fit for proper functionality and aesthetics. Missing teeth pose a risk to oral health and should be addressed as soon as possible. Lost teeth can be one of the factors that lead to the development of gum disease. Patients with gum disease can also be at an increased risk of other health issues such as diabetes, stroke, or heart disease. When working with our patients to develop a treatment plan for missing teeth, we may recommend fixed dental bridges made from biocompatible materials. A dental bridge is made of several artificial teeth that are held in place by dental crowns on both ends of the gap. Dental bridges are an affordable restoration that provides patients with improved stability, durability, and aesthetics. When a dental office like Virtue Dental Care opts to use biocompatible materials, you can trust that all restorations will be created with safe materials that will protect your oral health and minimize the risk of future problems. In the case of amalgam fillings, the expansion and contraction of the metal fillings can lead to future breakage of the tooth and the need for a replacement restoration. Biocompatible composite resin fillings do not expand and contract with changes in temperature to the extent amalgam does, which protects the tooth structure. Any material that is used in your mouth has the potential to impact the health and appearance of your smile as well as your overall wellness. By providing biocompatible restorative dentistry, we can restore your smile while also preserving your health. Whether you are looking for mercury-free fillings, crowns in a day, or permanent solutions to tooth loss, we can help. If you are looking for holistic dentistry close to the Greensboro, NC area, we invite you to call our office at 336-606-0040 to learn more about our services including biological dentistry, cosmetic dentistry, orthodontics, and more.